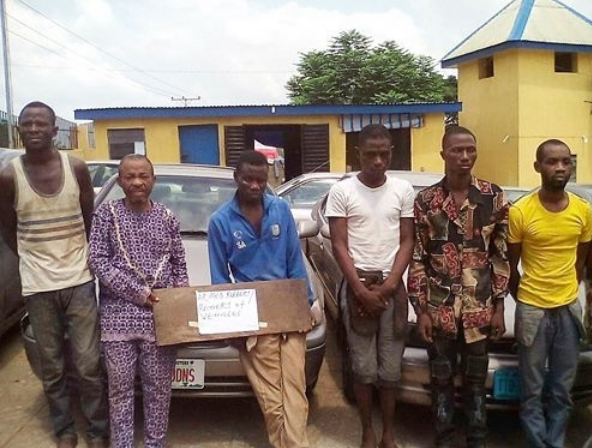 The suspect and his gang members were said to have stolen about 26 Toyota Camry cars from Oworoshoki, Bariga and Somolu areas of Lagos metropolis. He said: “I’m a driver with two children. I started doing this job after I was sacked where I worked as a driver at Victoria Island. My friend introduced me to this job in 2017. I have stolen 11 vehicles in Oworonshoki, Bariga and Somolu in Lagos. What we do is to go out around 2 a.m. .
A man cuts a master key for us to steal Toyota cars. We open the cars and kick-start the ignitions. We don’t rob at gunpoint. We got the key for N1000 or N2000. After stealing, we send the cars to Ondo to two buyers.